A selection of the hot new releases plus tracks from Scotland's musical archive and beyond. Alice Cooper chats to Billy about his career and latest album Paranormal. 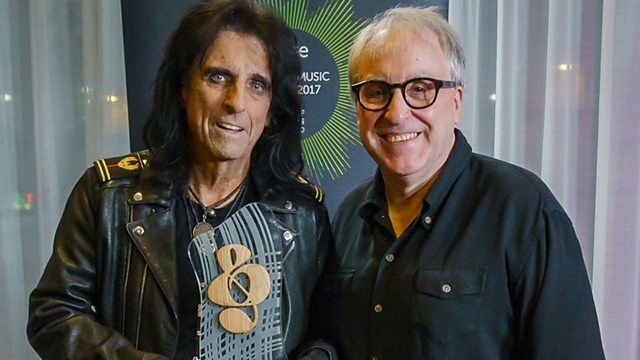 The host presents a selection of the hot new releases plus classic tracks from Scotland's musical archive and beyond and Alice Cooper chats to Billy about his career and latest album Paranormal. In Close But No Cigar Billy plays a track that only got to number 2 in the charts, but what song pipped it to the post for the number 1 spot and find out what album will be picked for the Live & Dangerous feature. Tthe Best Christmas Album In The World...Ever!,. The Best Album Tracks ...Ever! (Various Artists). The Greatest Hits Of 1972 (Various). The Greatest Hits, So Far. A Nod Is as Good as a Wink... To a Blind Horse. The Best Of The Sensational Alex Harvey Band.